Click the Users icon at the top of the console. In the Add New link, enter the basic user information. When it comes to users being able to edit web pages, there are three basic roles to choose from. These are Editor, Author, and Contributor. An editor can publish, edit, and delete any web page, and upload media. An author can edit, publish and delete their own pages, and upload media. A contributor may only submit pages. Change the from address and subject to your own information. 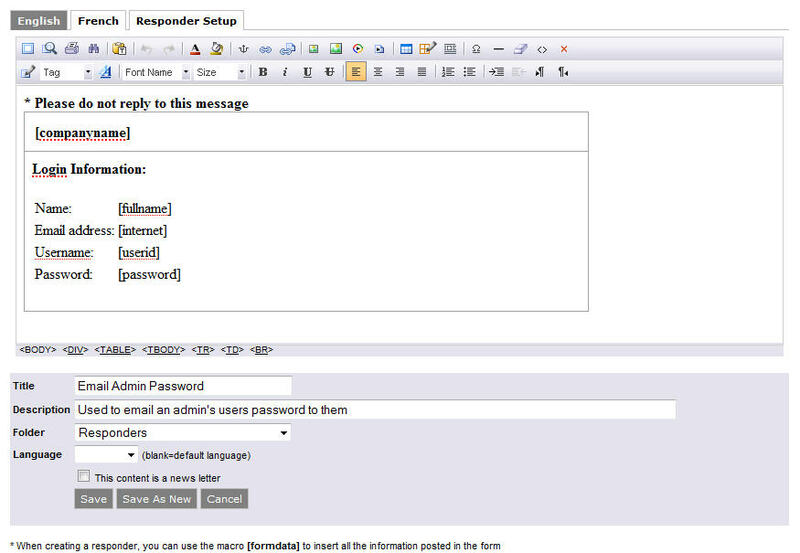 Lastly, edit the "user" form and attach the responder to the form.